Meet Ryan, the seven-year-old YouTube mega-star from Ryan ToysReview, in this 8x8 storybook that’s perfect for his millions of fans! 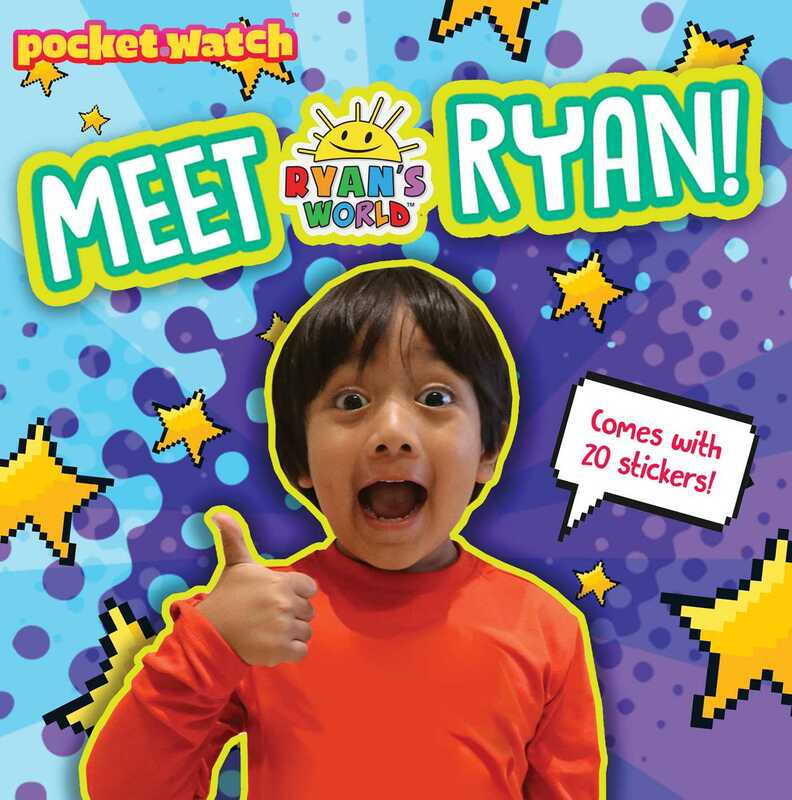 This story, filled with fun facts about Ryan’s videos, family, and hobbies, also comes with a sheet of Ryan’s World stickers! This is Ryan! You probably know him from his YouTube channel, Ryan ToysReview. But do you know what his favorite food is? Or what he wants to be when he grows up? Learn all about Ryan, like how he got started on YouTube, what he does when he’s not making videos, and how much he loves his fans…like you! Watch it. Read it. Love it! © 2018 RTR Production, LLC, RFR Entertainment, Inc., and Remka, Inc., and PocketWatch, Inc. All Rights Reserved. Book Cover Image (jpg): Meet Ryan!